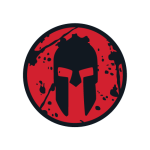 Some of my work colleagues participated in a Spartan Race this past weekend, which seems like a good way to acquire a bacterial infection but to each his own. Slightly off-topic but Spartans didn’t fight very well and instead of fleeing, they let themselves all be killed by Persians . . . so I’ve always wondered why Spartans have become synonymous with positive qualities like commitment and toughness and resilience, instead of being remembered as milksops with cool headgear . . .
You work your side of the street and I’ll work mine.